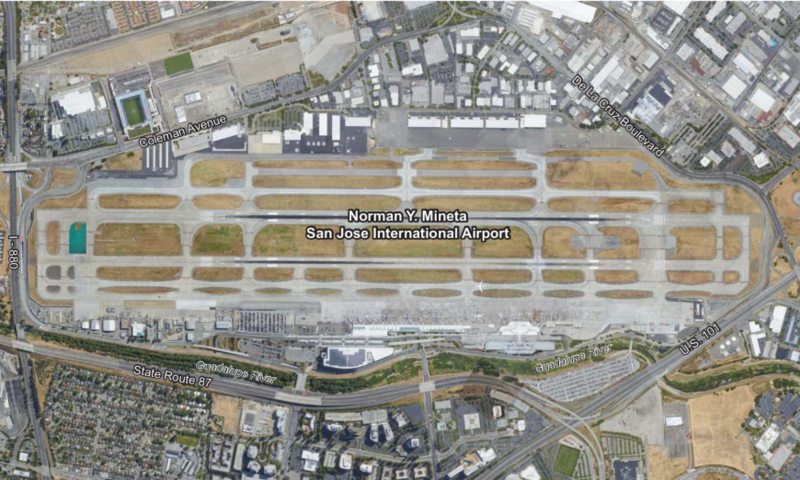 The City of San Jose is working on passing an amendment to the Mineta San Jose International Airport (SJC) Master Plan. The Master Plan covers improvements and construction projects for the entire airport that covers a 1,000-acre site two miles north of downtown San Jose. The current Master Plan was adopted in 1997 and guides the airport’s design capacity and improvements needed for forecasted demand through 2027. If approved by City Council, the amendment would extend the project planning related to forecasted demand out to 2037. The most recent update to the aviation demand forecast was conducted in 2017 and was the main reason for the proposed amendment. A comparison of annual air passenger activity levels at SJC showed 8.2 million passengers in 2010, jumping to 12.5 million travelers in 2017. The forecast for 2037 is 22.5 million. The majority of the 73 capital improvement projects that resulted from the existing plan have already been constructed including the lengthening of two runways, taxiway improvements, new passenger terminals, aviation facilities, parking garages and a new fuel storage facility. Some remaining projects still on the horizon are further taxiway upgrades, a new air cargo facility, expansion of support facilities and a new aviation facility. A final draft for the proposal has yet to be reached due to continuing deliberations by various agencies. A public scoping meeting for the amendment’s Environmental Impact Report was held on Jan. 14, with another public meeting on Jan. 28. Planners also met with the San Jose Airport Commission this month to discuss the myriad of topics tangential to the amendment. The plan is scheduled to go before City Council on Feb. 12 when all issues pertaining to the plan will be discussed including what it means for San Jose’s downtown economy and traffic impacts. 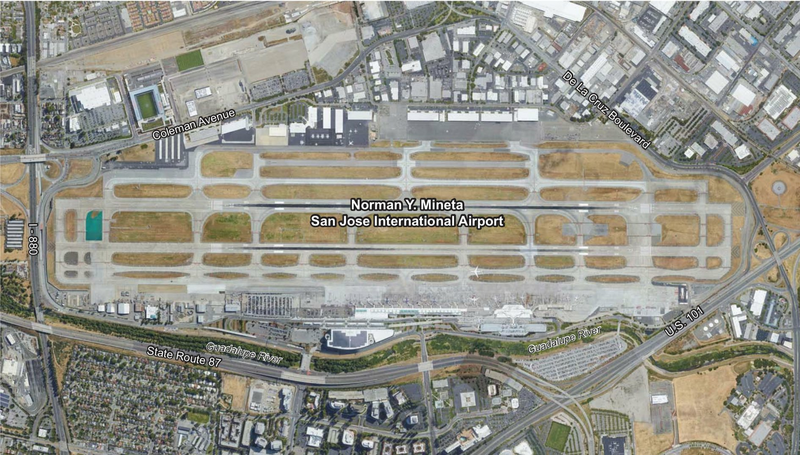 Because the plans are still in development, City of Santa Clara staff have not yet commented on what the airport amendment could mean for the city. According to Santa Clara’s director of communications, Lenka Wright, the City will be involved in the Environmental Impact Report process for the Master Plan amendment, and is currently reviewing the scope of the proposal to determine if there will be any resulting changes to traffic volume or flight paths. Staff will also be interested in looking at a noise analysis. The “City [of Santa Clara] will be involved in the Environmental Impact Report process for the Master Plan amendment”… does San Jose ever listen to Santa Clara? I doubt it… sure doesn’t seem that way unless there’s a lawsuit threatened (i.e. Santana West).